In the heart of the Bolivian Altiplano, a plain located more than 4 thousand meters above sea level, lies a huge canyon, a void in which the city of La Paz was founded. La Paz distinguishes itself by its characteristic geography of snow-capped mountains and hills of varying tones, ranging from blushing ochres to grays to oranges and greens, constituting the true natural heritage of the city. Unfortunately these natural reliefs are gradually destroyed in order to give way to new construction spaces. This work puts into question the way in which large cities develop, without taking into account the environment that surrounds them or the environmental consequences that this implies. This installation was proposed as part of the Nuit Blanche 2015, whose central theme was the heritage of the city of La Paz. 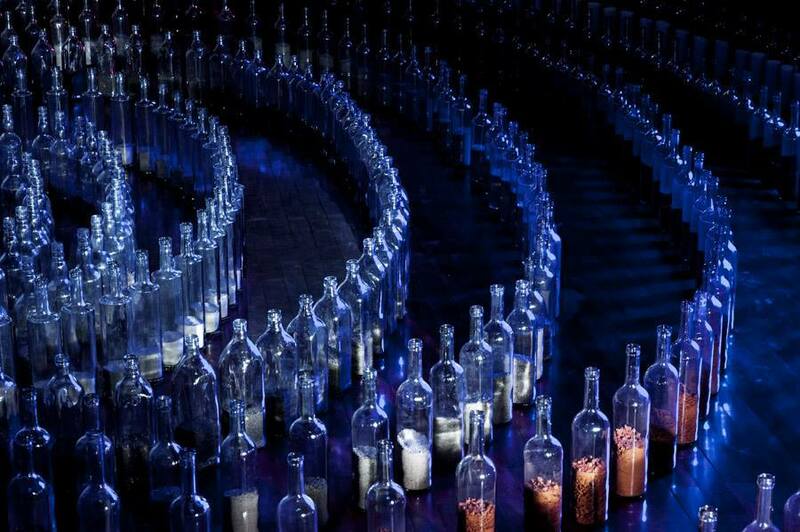 The work is a set of 700 recycled glass bottles, arranged in 8 progressive ovals that symbolize the continuous growth of cities and also recall the concave shape of the valley in which La Paz is located. 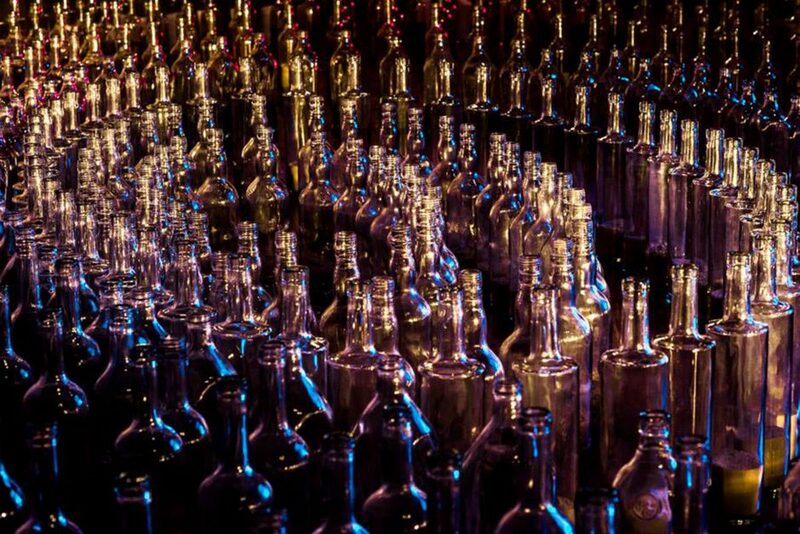 Each of the ovals formed by the bottles has different earth tones that come from the mountains surrounding the urban area of ​​La Paz so as to represent and reveal to the viewer the natural wealth of this city, the wealth that we are gradually destroying.